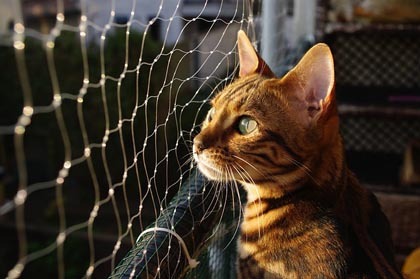 From first-time kitten owners to seasoned cat companions, cat owners are divided whether or not cats should be allowed outdoors. Traditional beliefs that cats need the freedom to roam are fading in the light of statistics that indicate the indoor cats have a longer lifespan and better health. 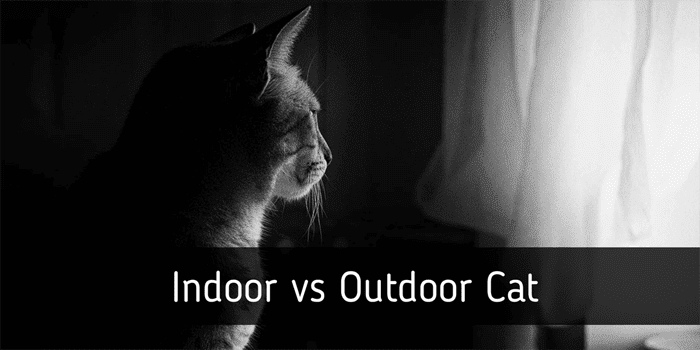 Deciding whether or not a cat should be an indoors or outdoors animal is up to individual owners but the pros and cons provide substantial evidence toward indoor cats. Statistics indicate that the lifespan of an indoor cat is much longer than an outdoor cat. On average, an indoor cat lives twelve years but some cats can live for as many as twenty years. In comparison, an outdoor cat’s life expectancy is less than five years. What risks do outdoor cats face? Busy highways, roads, suburban streets and country lanes all present a life-threatening danger for cats. One accident can be fatal or cause serious injuries. Pesticides, home garden products, car and motor products, discarded trash, spoiled foods, poisonous plants and intentional poisonings are among the poisoning dangers for cats that roam. The danger of contracting an infectious disease rises for the outdoor cat. Cats can transmit a number of infections which include Feline Immunodeficiency Virus (FIV) and Feline Leukemia (FeLV). Cats who roam at will encounter other cats and can contract either of these fatal diseases. Free-roaming cats often encounter problems with other cats in the area and abscesses as a result of a cat fight are an injury veterinarians see on a regular basis. These are painful to the cat and can cost several hundred dollars to fix. A number of diseases and parasites are contracted via hunting including tularemia, plague, tuberculosis, salmonella, histoplasmosis, blastomycosis, aspergillosis, feline ischemic encephalopathy and chiggers. In Australia, paralysis ticks can infect cats and if not treated ticks can kill a cat. Dogs and wild animals such as possums and snakes often prey on cats that wander into the wrong territory. Australia has the deadliest snakes in the world, and can quite easily kill a cat. 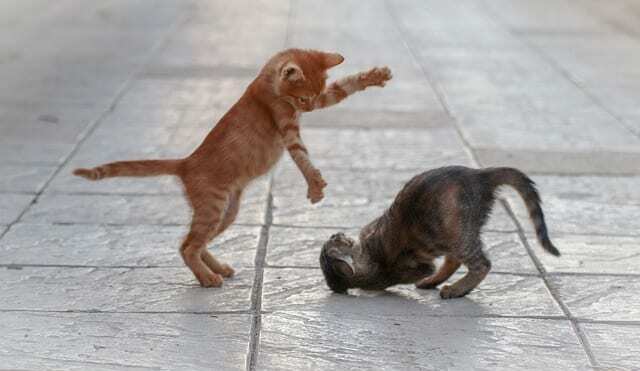 Cruel and sadistic individuals sometimes kill defenceless cats for sport or pleasure. Less than 5% of cats taken to animal shelters are reclaimed by owners. All outdoor cats should wear either safety collars with identifying information. However, collars often become lost. Microchipping is the only permanent way to identify a cat. Australia is one of the leading countries in the world for skin cancer. Cats are also susceptible to skin cancer. If you allow your cats to free roam, or have them in the safety of an enclosure it is important to be aware of this and offer the cat protection from the sun. Many people who build enclosures have a shaded area where the cats can enjoy the outdoors without the constant exposure to the sun. Traditional views that cats require the freedom to roam outdoors have few pros. The belief that indoor cats tend to be lazy and overweight is not true and can be combated with scheduled play times. Outdoor cat enthusiasts claim cats love the outdoors, which is often true, but the dangers outweigh the benefits. The same cat owners who promote the outdoors often insist that cats deserve their freedom. The majority of veterinarians believe cats should be indoor pets. So do members of most Humane Societies and animal protection societies. Dangers to an outdoor cat far outweigh any benefits. Cat owners uncertain about keeping a pet indoors can give their cat the best of both worlds by offering outdoor experiences in controlled situations. Contrary to what most cat owners may think, it is possible to train a cat to a leash and harness. 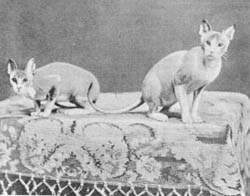 It is easier to train a kitten or young cat but all cats can be leash trained. This allows cats to be walked in the same manner as many dogs and offers outdoor exercise beneficial for both cat and owner. Perhaps the best solution of all is a cat enclosure where cats can enjoy the outdoors in a safe environment. Many companies manufacture cat enclosures but cat owners can also create their own. A cat enclosure is simply an enclosed area that offers protection and keeps the cat from wandering away. An ideal cat enclosure will contain enough space to move, climbing options, and a resting area. A shady area is best so that the cat can enjoy fresh area even on the warmest days. Nylon mesh and chicken wire are two of the most inexpensive, effective options. Concerns about formerly outdoor cats adapting to indoor life are valid but a cat enclosure often solves this potential problem. Portable enclosures: It is not always possible to build a cat enclosure, for example, if you are renting. Portable enclosures can provide a compromise. Screen in a porch or veranda: If space is a problem, a porch or balcony can provide a small area for your cat to enjoy the sun and some fresh air. Chicken wire or netting can be used around the outer perimeter of the porch to screen it in. Whichever option you choose, fill the area with cat-safe plants, grass, perches and even large logs or tree branches for your cat to enjoy. Providing a rich and enriching environment can help to compensate for the loss of the great outdoors. There are a number of ways to keep your indoor cat happy and entertained which includes interactive toys as well as cat trees and shelving to climb and sit on. Provide your cat with a number of opportunities to enjoy the outside from the safety of the home. Perches close to windows for your cats to do some bird watching. Schedule a time once or twice a day to play with your cat. Choose a number of different toys from toy mice, cat exercise wheels (the same as mice wheels, but much larger), scrunched up paper, interactive toys, lasers (be careful of their eyes), and wand type toys and many cats can have hours of fun with a simple paper bag or box. Play should provide your cat with the opportunity to let off some steam, spend time with their favourite humans and provides mental stimulation. These feeders challenge your cat and in reward, the cat receives a small amount of food. They are great for cats who guzzle their food too quickly and can help to enrich the cat’s day by providing some mental stimulation. Aside from playtime, cats also thrive on human companionship, after playtime, try to find the time to quietly sit and bond with your cat. I find evenings the best time for this. Catnip is a member of the mint family which induces a high in 60% of cats. It is harmless, non-addictive and completely safe. It can be grown fresh or purchased dry from most pet shops. 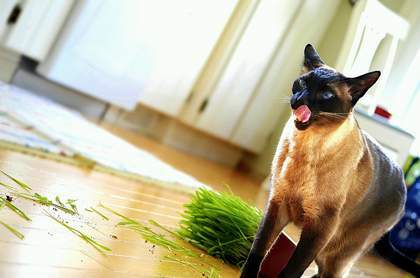 Plant some grass seeds (or buy turf) on a tray which is slightly larger than your cat (a kitten-sized litter tray works fine), and grow a small patch of grass inside for your cat to chew or lie on. Cats love to survey their environment from above. At least one cat tree should be in the home, this provides the opportunity for your cat to be up high, get away from threats (children or dogs), sharpen the claws and remove the loose outer layer, and stretch the shoulders. In addition to cat trees, where space permits, perches throughout the house are always something cats enjoy. They can be as simple as shelving or cat furniture attached to the wall or install a large tree branch. Especially if you are out of the house for long periods, two cats can keep each other company, play together and spend their days dozing with one another. If you are considering keeping your cat indoors but would like to explore the possibility of building a cat enclosure, please read our page on cat enclosures here. You will find many ideas from home built cat enclosures to commercially built ones. Photos, tips, and lots more. Previous articleWhy Is My Black Cat’s Coat Turning Red-Brown?